Disneyland Paris is a truly magical place. The rides, the shows, your favourite characters walking to and fro, and of course, the queuing. Who doesn’t love a really nice long bit of queuing? Personally I don’t feel like I’ve had a proper holiday unless I’ve spent a nice big chunk of it standing politely in line, checking my phone for the three hundredth time out of sheer boredom. Of course, if you don’t share my absolute passion for standing behind a family with a screaming child for twenty minutes, here are a few tips that will allow you to beat the queues while you’re at Disneyland. The parades are a big part of the Disneyland Paris experience, as if there’s one thing Disney knows how to do well, it’s put on a show. Everybody knows this, which means that around 30 minutes before every parade people will start drifting over to see the show. If you’re willing to skip the parades, that’s a great chance to get some shorter queues. Instead of entering the theme park and getting on the first ride you see, like most visitors, go to the very back of the park and work your way back to the car park. Since most people are going the other way, this should mean you have some shorter waiting times. This is a great option for early risers. If you get a package deal and stay at one of the Disneyland Hotels, you can an extra two hours at Disneyland completely free! That means two hours before everyone else comes spilling into the park you can get on the rides early, when the queues are at their shortest! Anyone going to Disneyland can access the FREE fast track ticketing system. 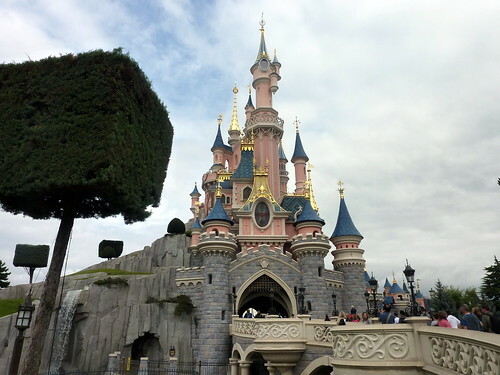 Using just your original Disneyland Paris entrance ticket you can pick up a free FASTPASS ticket that will let you onto 9 of Disneyland Paris’ most popular rides without having to wait around in queues, you just have to book your time spot in advance, and at no extra charge! If you want to broaden the range of rides you can queue jump for, however, you can splash out on a premium ticket. The premium ticket lets go on any ride you like as many times as you like, without even having to reserve a time spot! It’s pricier than the standard ticket, but it guarantees that your time will be spent on rides rather than in queues. You know, if you don’t like queues. Like I said, personally they’re my favourite bit. Sam Wright is a freelance writer who loves queuing and Disneyland Paris tickets.